Anne Jolly welcomes artist-illustrator and Scholastic author Roger Essley to share his insights on Integrated STEM Literacy and the natural marriage of STEM studies and visual learning tools and techniques. Education experts and policy makers tell us we are facing a STEM crisis. They say our nation’s competitiveness is at risk because too few students are choosing careers in fields like science and engineering. A widely quoted article about engaging and supporting learners in science offered this guiding idea: “Research has shown that the most meaningful learning happens when students are engaged in authentic activities… that mirror the real-life tasks of STEM professionals.” (Herrington & Kervin, 2007) This seems a straightforward concept, but only if we have a clear view of what scientists do, and how they do it. Unfortunately, where real-world science and education intersect, I find our view of “authentic” STEM activities is often blocked by a pervasive text bias we hardly recognize. In our urgent focus on promoting text literacy skills, we miss the key role visual tools play in STEM exploration and innovation. Indeed, we miss the way STEM disciplines have long pioneered and employed a unique Integrated STEM Literacy (ISL) – where text and visuals are intimately linked. We see the powerful dynamics of ISL in the lab, in the workshop, and now in the visual digital revolution. Recognizing the ways scientists use visuals with text can help us better support students in every classroom, thereby enlarging our view of STEM, of literacy, and of learning itself. If you are not sure what integrated STEM literacy is, you are not alone. The strange truth is we all know it when we see it, but we can’t seem to name it, much less agree on its value for educators. 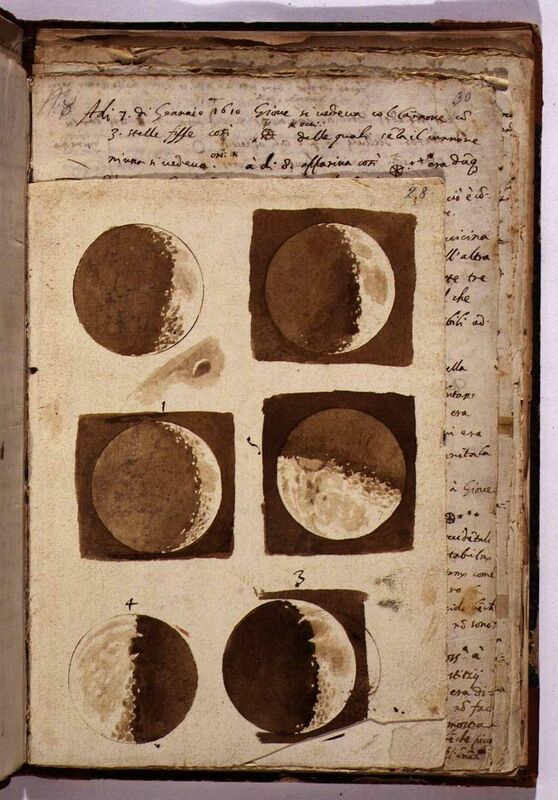 To the right is a celebrated example of integrated literacy in Galileo’s notebooks. His systematic use of observational drawing with writing pioneered the presentation of visual evidence as it changed our world view. Below Galileo is Alexander Graham Bell’s first draft drawing of the idea for a telephone. The simple fact is that for centuries scientists, engineers, mathematicians and inventors have been using ISL, not only to record and explain their ideas to others, but crucially to help clarify their own thinking to themselves. ISL work is easy to recognize, but what it means to STEM professionals and to educators can be quite different. Scientists and engineers think of ISL as a learning and communication essential. Sadly, the Common Core’s urgent focus on text skills only amplifies our narrow vision of literacy and learning. The current push to more rigorous reading will only help if we can reach struggling students. NCLB mandates equity, yet even our best schools struggle to reach all learners. Yet, if we recognize the way specialists use visuals to support students with text struggles and learning disabilities, we see the inclusive power of ISL. In fact, fostering visual problem solving shows how our text-narrow practice and testing limits learners, and worse, misses what they really know. Jim Adamo, an experienced 4th grade teacher in Upstate New York, saw most of his students fail sample story problems for the state math test. He tried an experiment, suggesting students make sequenced drawings to unpack the math content embedded in the problem’s text. The results were spectacular. On a question where 22 of 26 students had failed, with drawing, 23 got it right. Little wonder Adamo asked why he’d never seen drawing modeled as an everyday instructional tool. Unfortunately, the experts crafting math standards (or any other standards for that matter) have failed to embrace the ample evidence that drawing builds essential thinking skills AND is uniquely inclusive. Singapore’s math curriculum produces the highest test scores in the world by having students draw to “see the problem” before they do the abstract number work. Teachers who tap their learners’ natural visual skills find that learners who are struggling engage, often with dramatic success; and gifted thinkers show how simple pictures can communicate big ideas. Look at a year-end science vocabulary assessment where Amy Levy Rocci’s learners diagram the water cycle to explain “evaporation.” These drawings show students’ grasp of science vocabulary goes well beyond rote learning. But if I tell you this is the work of kindergarteners, with very limited text skills, I think you’ll see how revealing they are. Those who want to promote STEM learning must recognize the unique power of ISL and help others see how ISL offers a proven path to more inclusive 21st century teaching practice. What better learning arena than STEM – with its goal of integrating science, math and technology using the engineering design process – to integrate visual representation and problem solving? Student STEM sketch for Cargo Drop bridge. Carol Davis. The good news from Rocci’s youngest students is that we can foster students’ hands-on drawing/thinking skills from kindergarten onward – making reading, writing, math and science more engaging and real-world exciting. When we embrace true integrated literacy, students, even those now left behind, will show us the creative problem solving and in-depth learning that will launch them into their digital-visual future. Sources: In addition to the sources credited above, quotations are from Roger Essley’s Visual Tools for Differentiating Content Area Instruction: Strategies That Make Concepts in Math, Science & Social Studies Accessible & Support All Learners Across the Curriculum. Roger Essley has been working with teachers in K-12 classrooms developing visual writing & thinking tools for more than 10 years. As a freelance illustrator, he has illustrated five picture books, is author and illustrator of the picture book Reunion, and has drawings curated by the Metropolitan Museum of Art. In addition to Visual Tools for Differentiating Content Area Instruction, Roger is the author of Visual Tools for Differentiating Reading & Writing Instruction with Linda Rief. Both books are written for middle grades educators. He holds an MA in Visual Learning and Visual Tools from Goddard College. Visit his website to learn more about his work. Contact him at rogessley@gmail.com. Very nice article, Anne! In response to the one response – Art is not the only way one learns to think visually or creatively. Many people do not recognize the inherent creativity in engineering design. This is one of the many, many reasons why we need to teach engineering – it is not devoid of creativity, by any means; it is just a different expression of creativity. Someday when we have made engineering / STEM a regular part of the curriculum we will see that the Arts parallel STEM as a curriculum area. They are both important. Glad you like the article. As a student who struggled with our narrow text-focused literacy and as an artist who loves making, I find the separation of engineering and art a misunderstanding of the creative problem solving urge at the core of both. As I show in the article we can teach art and engineering to young learners as deeply connected ideas. Key is fostering their natural hands-on drawing as an essential thinking skill. Offering learners an integrated literacy, where pictures and text are partners, engages and inspires both our struggling and gifted students. You’re the first person I’ve read who has approached this in what I consider an appropriate way, so yes, I see your point. Being able to draw out engineering designs is a great skill and an integrated creative process. I take exception to those who say that unless someone takes a pure Art class [e.g. Painting] they will not learn to be creative. I say Engineering is also creative, which I think alot of people don’t realize. Your examples do tie Art, in the broad sense, and Engineering together. Thanks for clarifying.